Being in Miami for Ultra Music Festival during the Winter Music Conference meant that almost every single DJ was in town. 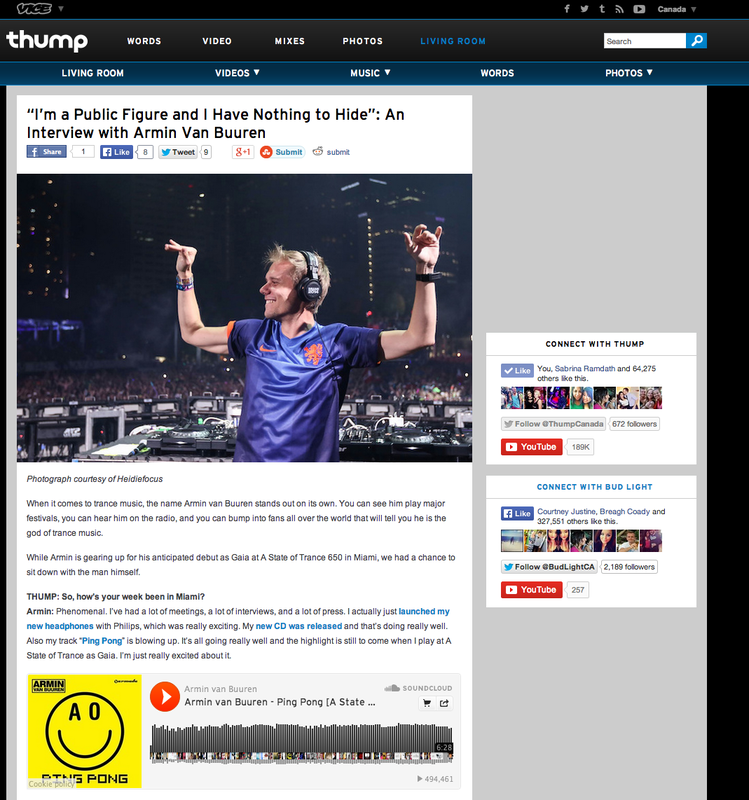 We arranged an interview with Armin van Buuren for THUMP Canada and I could barely contain my excitement. Anyone that knows me would know that I’m a massive trance fan. Getting to meet such a massive trance icon was something I never thought I’d do — let alone getting to chat with him and pick his brain. I asked him about his alter ego, Gaia, and about his life as such a famous DJ. It was interesting to get to know a side to someone I’ve only seen standing on huge stages.